Olivia had a her 2 year checkup on Thursday. She currently weighs 25 lbs. (50th percentile) and is 33 inches tall (27th percentile). She had her iron checked via a toe prick (which she didn't mind at all) and one shot (which she hated). 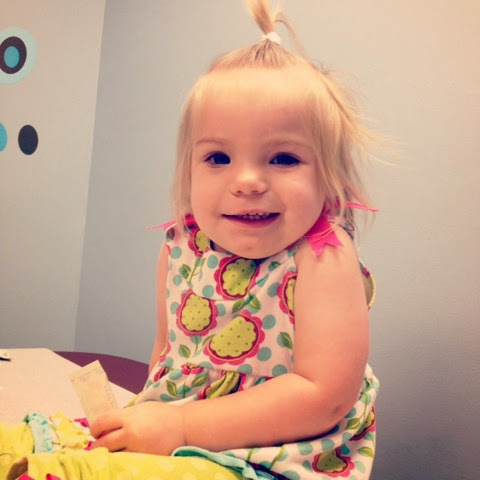 Olivia is perfectly petite and healthy! We are so thankful! 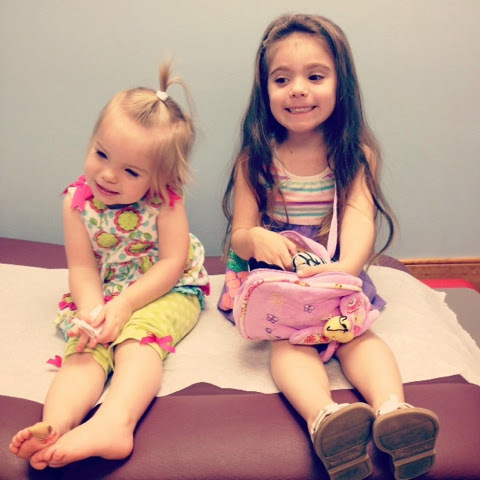 Julianna was such a good big sister during Olivia's checkup. She wanted to sit on the table beside her to make sure she was okay. I love these little girls!